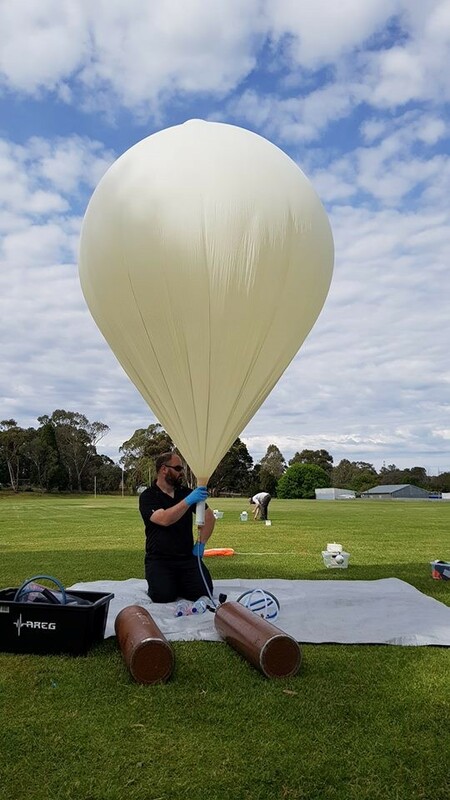 AREG will be launching a high-altitude balloon for the International Space University’s South Hemisphere Space Studies program, conducted by the University of South Australia again this year. The planned launch date is Saturday the 2nd of February, with liftoff around 10-10:30AM. The launch site will be the usual Mt Barker High School Oval location. UPDATE 2019-01-31: Due to poor launch-day weather, this launch has been re-scheduled to 11AM on Saturday the 9th of February. There may be a second Wenet payload on 443.5 MHz capturing outward-facing imagery, though this is yet to be confirmed. There have been some updates made to the Wenet HD imaging payload and receiver software, however all changes are backwards compatible. If you have a functioning Wenet receiver system, you *do not need to update for this launch*. You will likely need to wipe your existing Wenet directory and follow the setup instructions from the start. UPDATE: Predictions look good, so this flight will be going ahead as planned. The launch team will not be chasing this flight – others are welcome to chase/recover the payloads if they wish. Current planned flight parameters (for prediction purposes) are a 4m/s ascent rate, 20km burst altitude, and a ~7m/s descent rate. 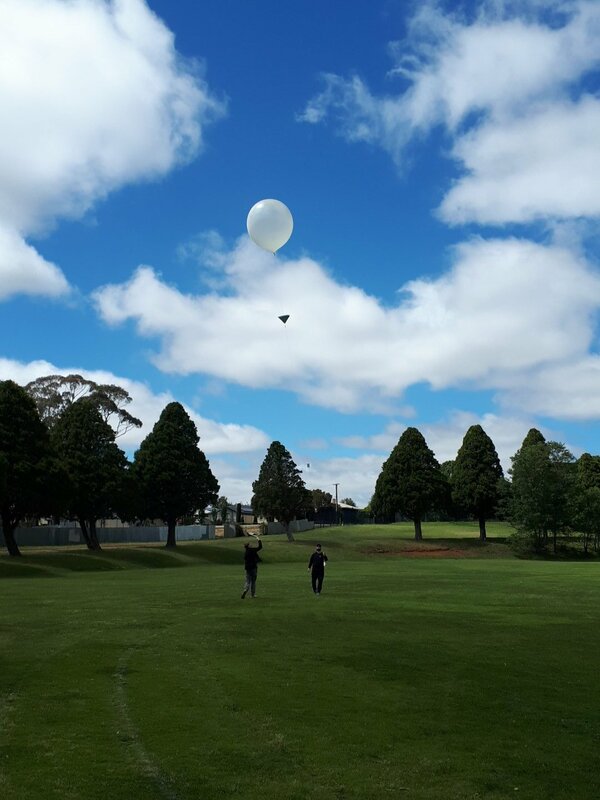 On Sunday, the 25th of November, Project Horus will be performing a small balloon launch from Mt Barker High School Oval, at approximately 11AM CDST. Live flight tracking will be available on the HabHub online tracker as usual. A guide on how to decode the new Horus binary telemetry mode is available here. 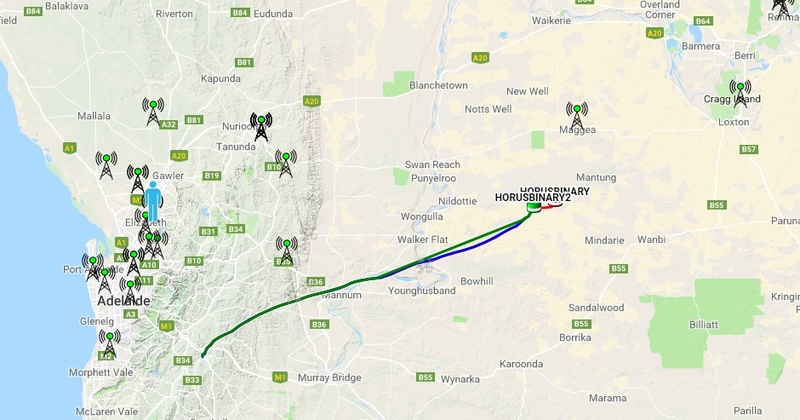 This launch is another test flight of the new ‘Horus Binary’ telemetry payload, which uses a new modulation mode developed by David Rowe VK5DGR and Mark Jessop VK5QI with 6dB better performance than the usual RTTY telemetry. 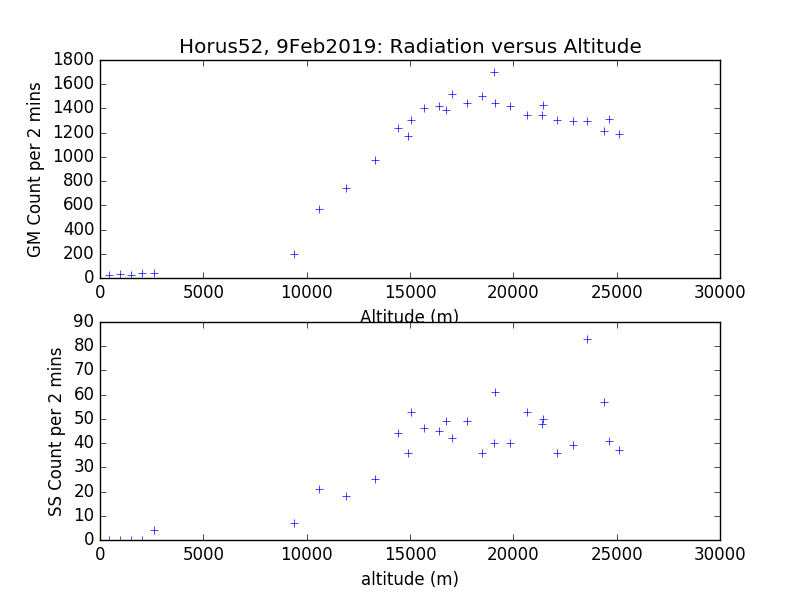 This telemetry mode has been flown on a few recent Project Horus flights, with mixed success – The modem has performed flawlessly, the payloads themselves not so much! These flights have flown reprogrammed Vaisala RS41 radiosondes, which while working perfectly on Bureau of Meteorology launches, have proven troublesome on Horus launches! Drifty Horus Binary Payload – Hopefully not on this this flight! The last telemetry test flight suffered a loss of PLL lock on ascent, believed to be due to temperature issues, causing the payload to drift right up the 70cm band. On Horus 50, a similar fault occurred on descent, though the payload recovered within a few minutes. Further investigations confirmed a temperature issue, likely due to the lower transmit powers used on Horus flights (25mW) compared with the stock transmit power of 50mW. 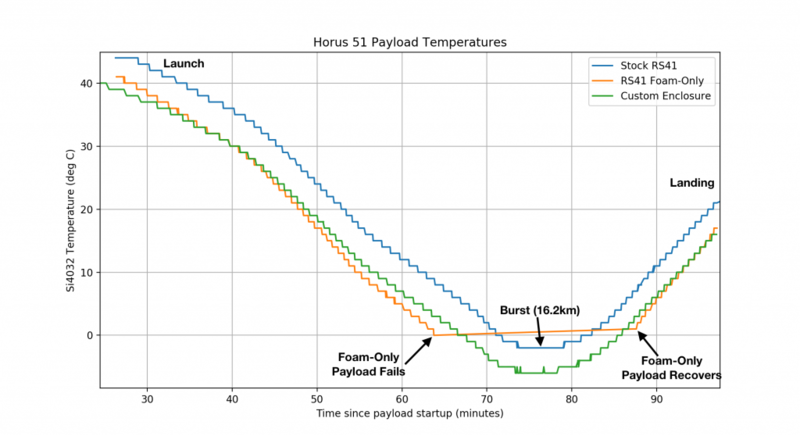 This flight aims to test a few different variations on the payload flown on Horus 50, to determine if transmitting at a higher power keeps the payload alive. A few different modifications to the payload insulation will also be tested. 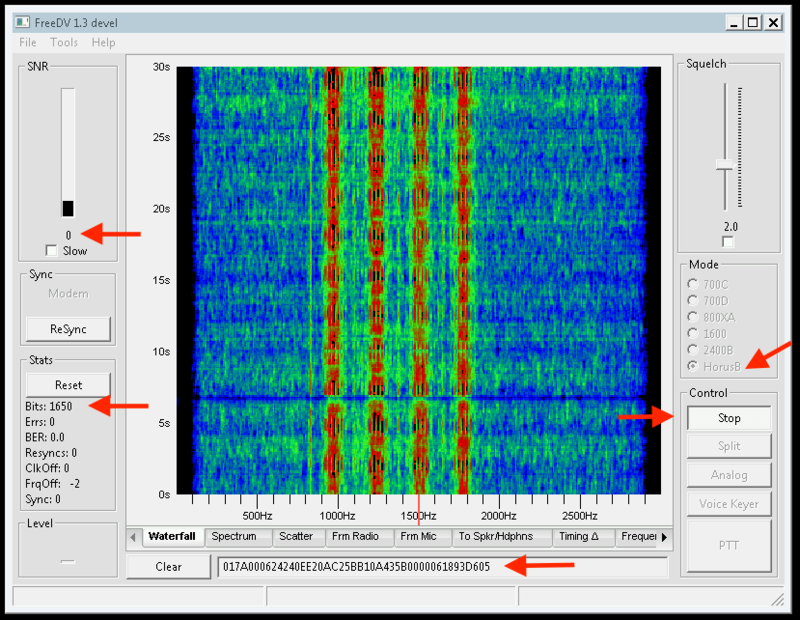 434.640 MHz – Callsign ‘HORUSBINARY’ – Unmodified RS41, 50mW TX power. 434.650 MHz – Callsign ‘HORUSBINARY2’ – RS41 without outer plastic shell, 50mW TX power. Prioritise reception of this payload. 434.660 MHz – Callsign ‘4FSKTEST’ – RS41 PCB in custom enclosure, 25mW TX power. The Horus Binary uploader script will automatically determine the payload callsign as long as you are running a recent version. Please make sure you have updated to the latest version (2018-11-15) of the Horus Binary uploader before this flight, otherwise the HORUSBINARY2 payload will not be recognised, and data for the other payloads may be corrupted. Those who were set up for Horus 50 can simply download the latest payload ID list, and place it in their horusbinary directory. Launch will be from the usual Mt Barker High School Oval site, and launch teams will be on-site around 10:15AM, for a 11AM launch. All are welcome! The Amateur Radio Experimenters Group was formed in July 1998 with the aim of promoting experimentation and self learning using Amateur Radio. 20 years on, the group is a vibrant and active body that has brought together people from many walks of life, all with the common interest of experimenting and learning about radio and electronics. One of the founding project ideas conceived by Adrian VK5ZBR, Ben VK5BB and Rod VK5UDX that drove the creation of AREG was project “Skyhook“. 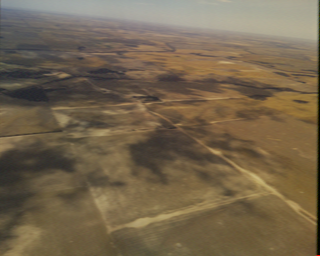 The aim, back then, was to fly an amateur radio payload under a weather balloon. For various reasons that goal was never achieved. However, through Project Horus (which joined AREG several years ago under the then stewardship of Terry VK5VZI), that original dream became a reality. This flight marks Project Horus’s own milestone, having now launched 50 “heavy – 30km plus” balloons over 8 years. 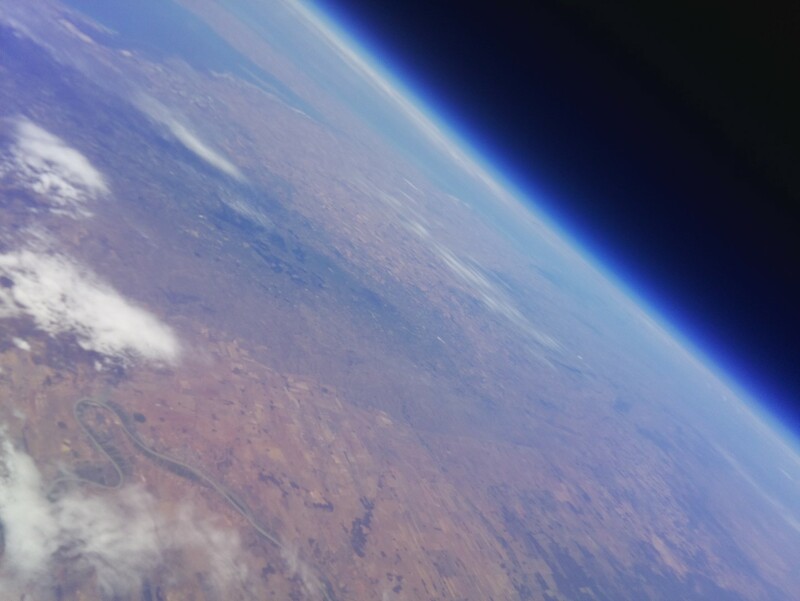 In that time it has become one of the most active amateur high altitude balloon projects in Australia. 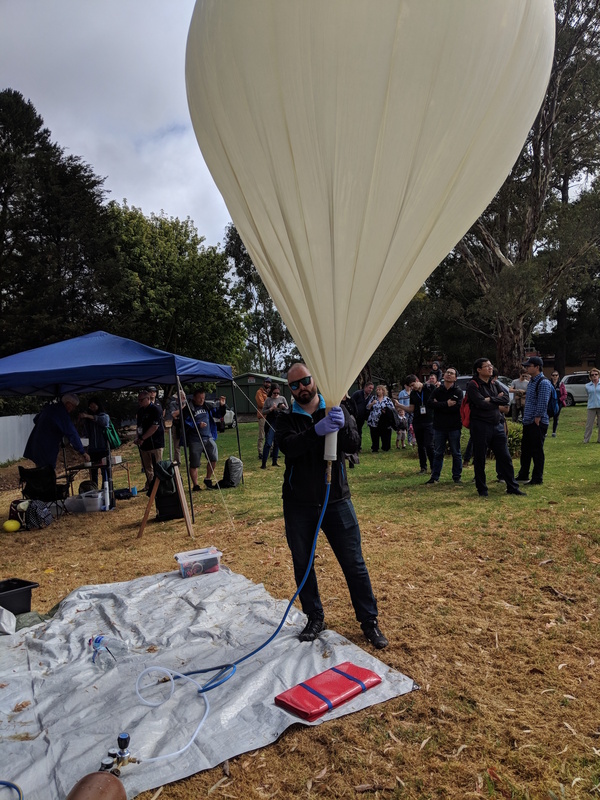 To commemorate both the 50th flight and the 20th anniversary, AREG and Project Horus have decided to fly an all Amateur Radio oriented payload, promoting our core experimentation theme. The aim was to maximise involvement of the amateur radio community in the project. Here is the story of that flight. 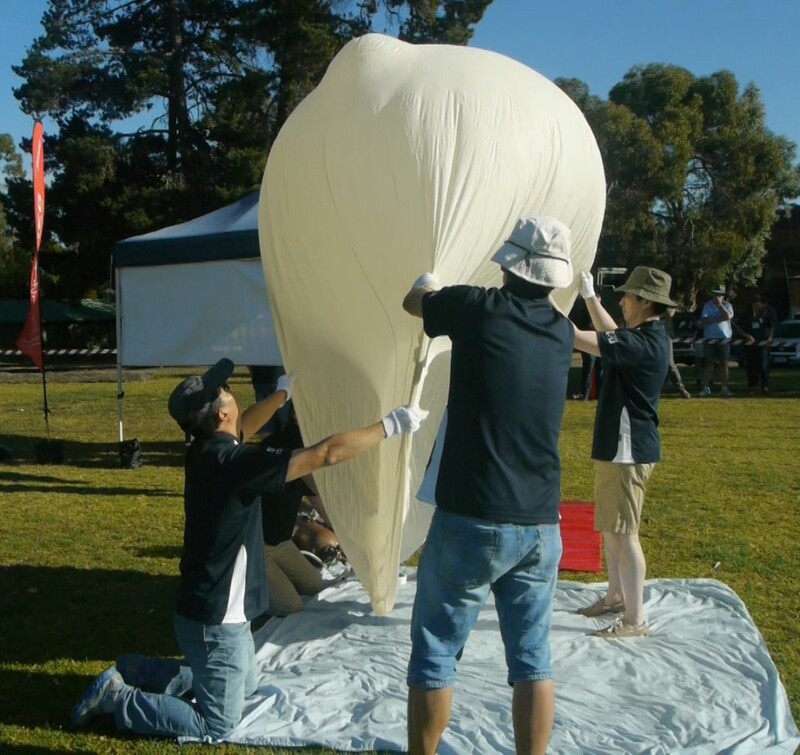 The launch crew arrived on site at Mt Barker High School by 8.30am ready to prepare the payloads and the balloon. Mark VK5QI who was flight lead was assisted by a number of AREG members including Will VK5AHV, Andrew VK5AKH, Theo VK5IR (first time Horus hunter), Kim VK5FJ, Marcus VK5WTF, Oly VK5XDX, John VK5BJE and Grant VK5GR with a number of other visitors and members who came along to watch as well. Assembly of the balloon train went to plan and, with relatively calm conditions prevailing, the filling of the balloon went smoothly too. After the obligatory calls to Air Traffic Control, the team was set and the balloon took to the skies on schedule at 10.00am ACDT. In support of the flight, another AREG team had set up camp approximately 50km away at Bear Rock Lookout, up above Palmer on the eastern edge of the Mt Lofty ranges. Manned by Peter VK5KX and Matthew VK5ZM, this ground station provides a vital backup telemetry link, gathering all of the signals from all of the payloads and uplinking them to the internet for the chase teams to use. 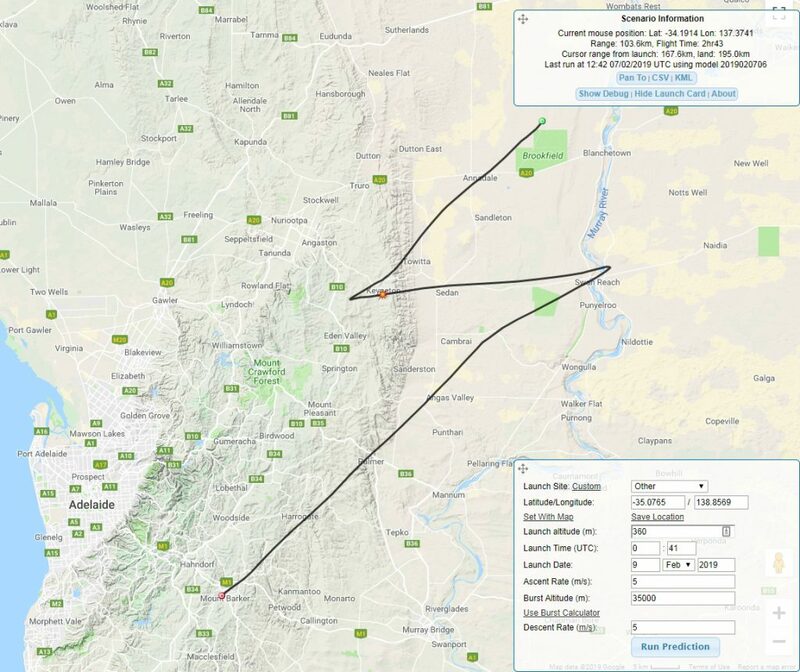 This data, when mixed with the rest of the information being received by amateurs across the state, is used by the chase teams to help fill in any packets they miss from the balloon, improving the accuracy of their landing predictions and providing a safeguard for the landing positioning data. Meanwhile the second ground team, consisting of Grant VK5GR and Oly VK5XDX, went to the top of the ranges above Brukunga to establish VK5ARG net control for this flight’s voice repeater. We weren’t able to collocate these teams as the UHF high power up-link would have overwhelmed the tracking data down-links. Darin VK5IX: Darin, Glenys, Cam, Greg. It was great to see more people getting out chasing! 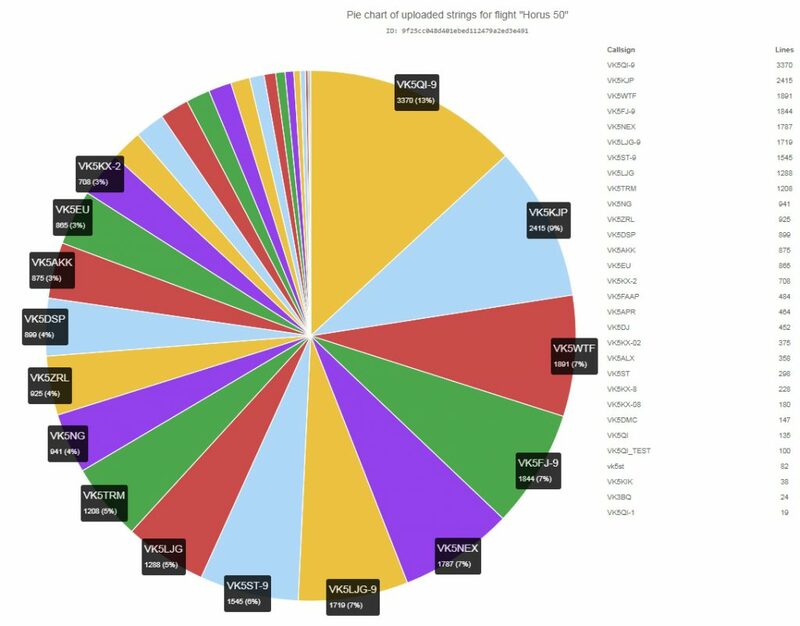 The other very important aspect of the flights is the data collected by the distributed listener network of amateur radio enthusiasts spread across the state. This adds a huge level of reliability and redundancy to the system that the project team really appreciates. It also gives everyone an opportunity to contribute to the project, even if only from their own radio shacks. 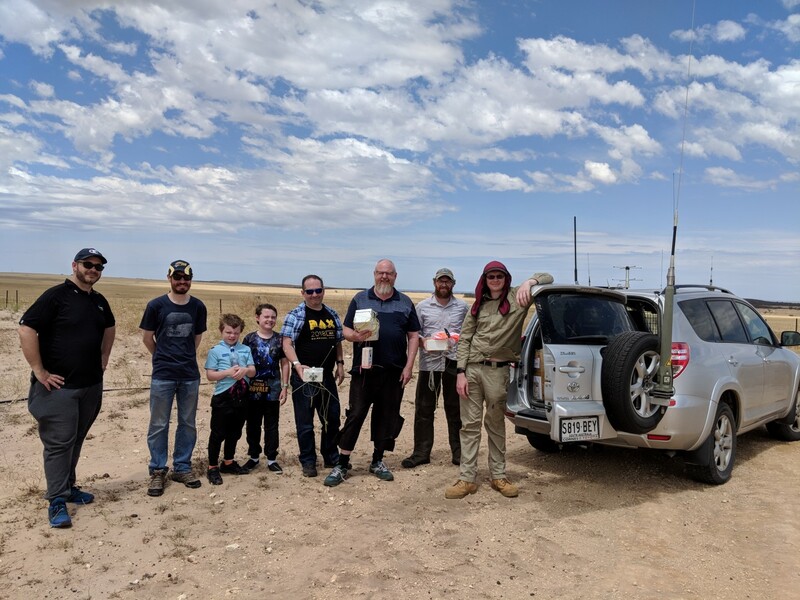 The interest in this flight was very high and there were many first time listeners as well as many regulars tune in and gather the telemetry off one of the RTTY or 4FSK payloads, as well as through the APRS Internet Gateway network. 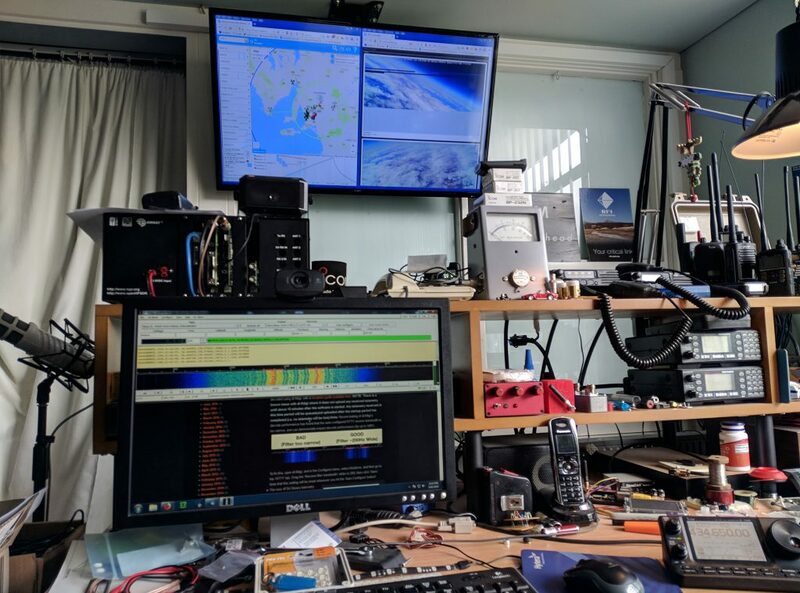 In all of these a special mention goes to Andrew VK3BQ who takes the prize for the most distant telemetry decoding station at over 600km away in Melbourne. A huge thank you to everyone who collected the telemetry! The flight was not without it’s gremlins either. 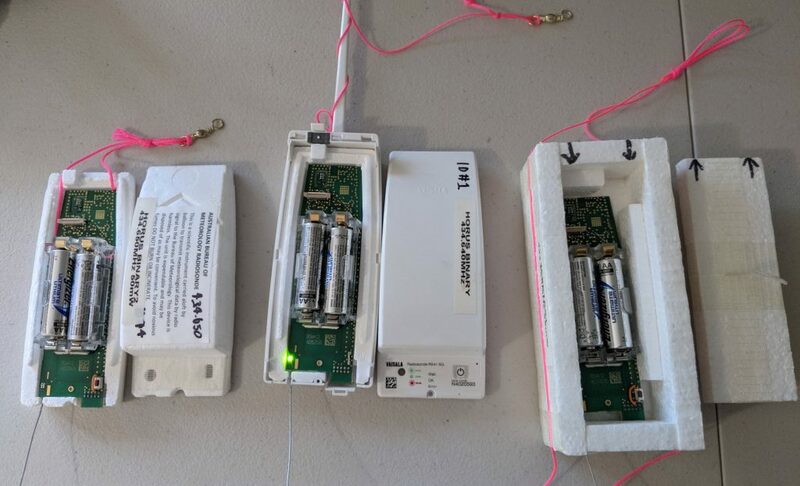 The 4FSK binary telemetry payload, which was a recovered Vaisala RS41 Radiosonde that has been re-programmed for use on 70cm, lost PLL lock at 13km on descent, and regained it at 9km altitude (about 6 minutes later). 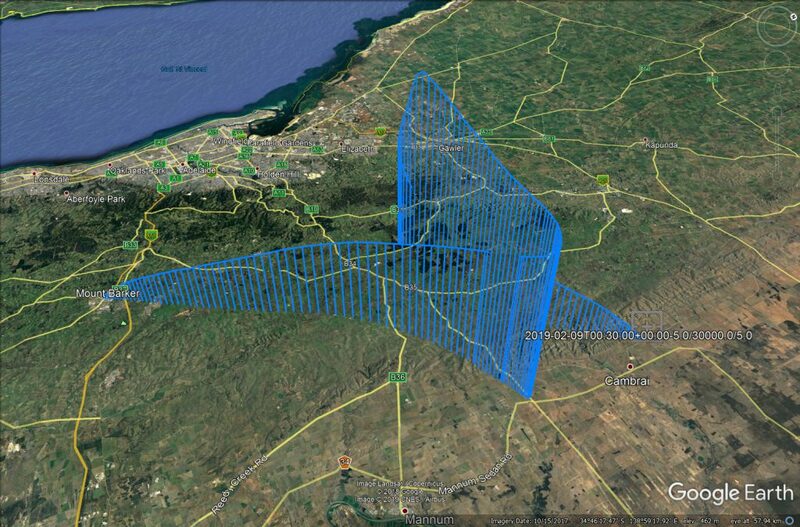 The air temperature at 13km was <-60 degrees C according to the morning BOM radiosonde launch, and -40 degrees C at 9km. 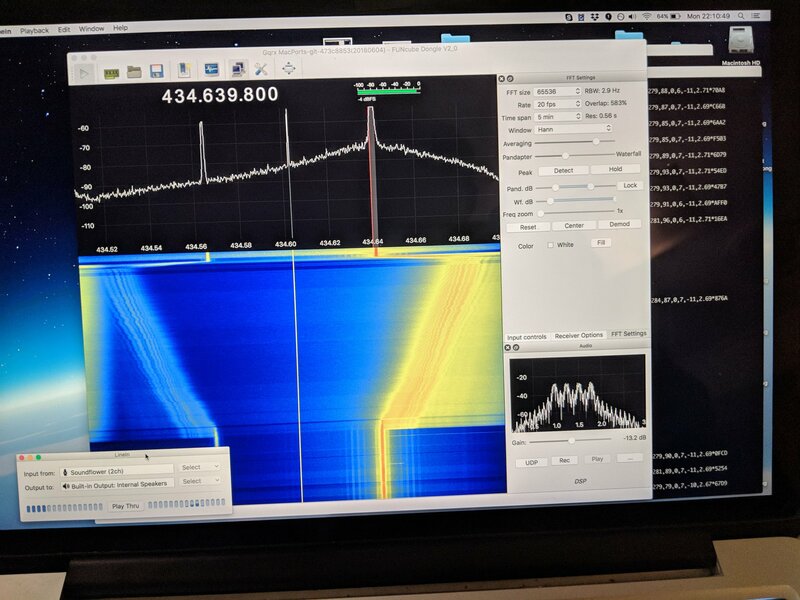 The team suspects that the payload froze for a period due to it running lower power than it would for a normal sonde launch, thus not generating enough internal heat to keep from freezing. 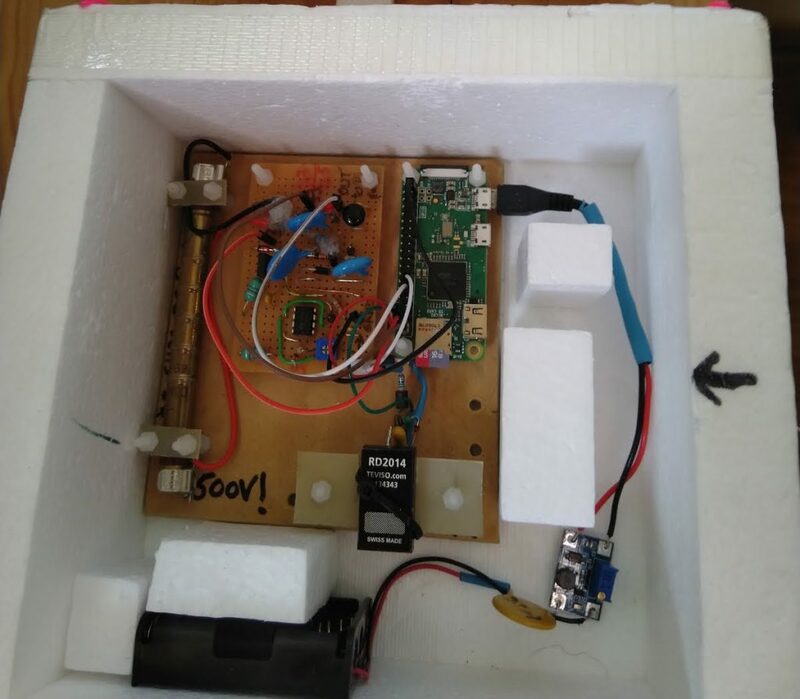 It is hoped to test this out sometime in the towards the end of the month with a small test launch carrying the same payload but running 3dB more TX power along side another RS41 PCB in a custom foam box (similar to our RTTY payload boxes). 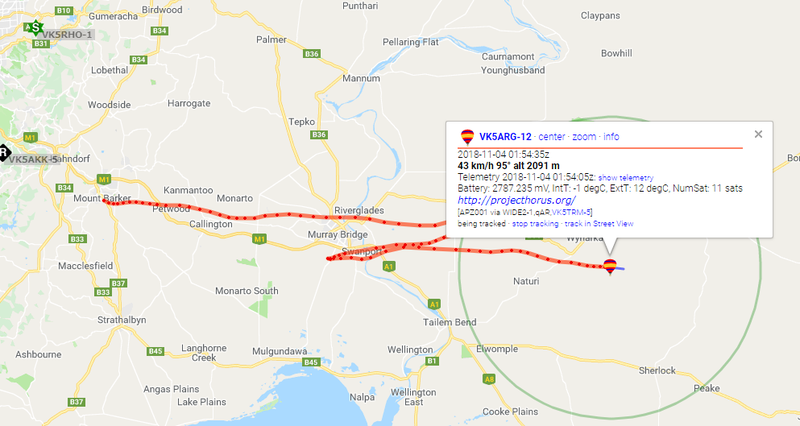 The LoRa tele-command payload also had a fault where it lost GPS lock for the second half of the flight just after burst, likely due to it getting knocked around due to the huge dynamic shock that ripples through the payloads when the balloon bursts. This time, the GPS unit took 20 minutes to regain lock, probably because it was falling so fast (~20-60m/s). The team will be investigating some better AA battery holders, and possibly putting a big capacitor across the power input to hold up the GPS through that very dynamic part of the flight. It goes to show, every flight is an experiment and that the team learns something new every flight! The main attractions of this flight, of course, was the flying voice repeater and the first flight of the Slow Scan TV transmitter. The live pictures broadcast over Slow Scan TV were a spectacular success, with amateurs across VK5 and VK3 able to receive them using all manner of tools and systems. The SSTV signal, running 250mW used what is known as Scottie 2 format (commonly used on HF). For the first time these images were accessible to almost everyone without any special software (which the previous high definition Wenet SSDV picture system does require). This helped generated an unprecedented interest in the flight. 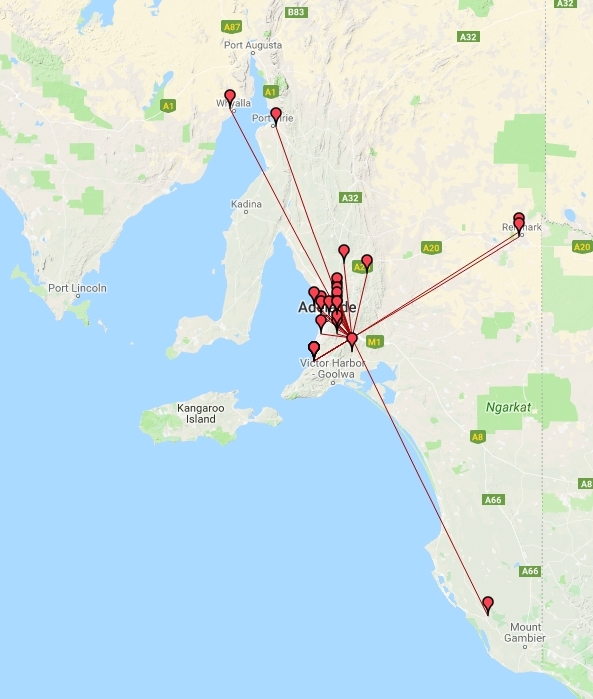 We had clubs and individuals from the Riverland, South Coast, across Adelaide, and in one case from as far away as Melbourne all receiving the SSTV transmitter. Rick Kearsley (from the South Coast ARC) received SSTV images from Horus 50 from Normanville SA with by VK5LEX/P and VK5VCR/P. In the Riverland, Peter VK5PE and Ivan VK5HS joined in the fun. 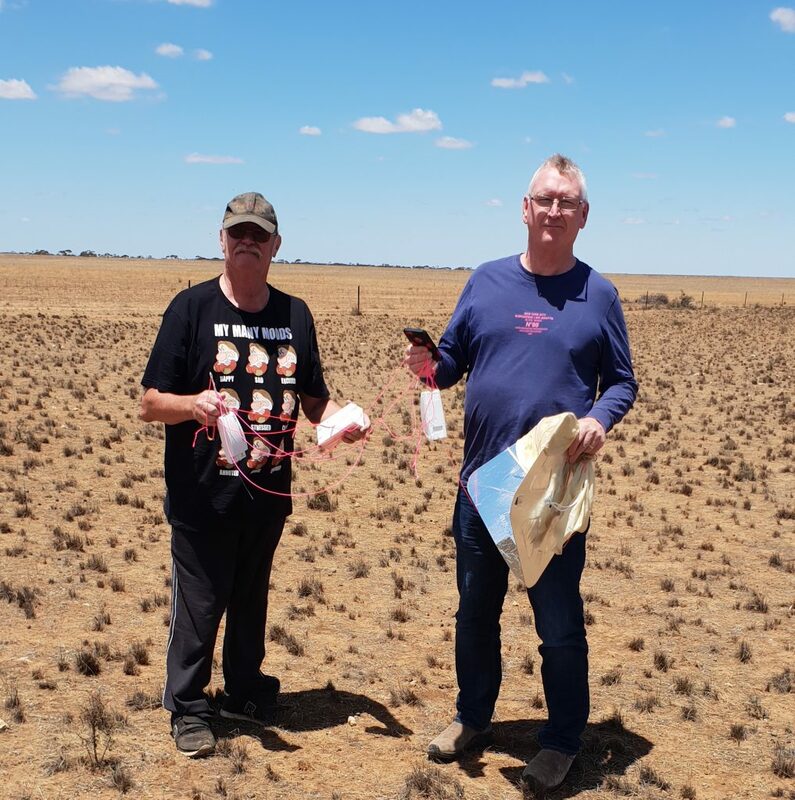 AREG also received copies of the pictures received by Steve VK5SFA and Liam VK5LJG and know of several others in Adelaide who also successfully received the images live from the balloon (including our primary ground station at VK5KX/P, who received one only 500ft off the ground). The best effort award however must go to Alan, VK3DXE who from the eastern side of Melbourne was able to receive the SSTV transmitter at apogee using his EME station. Not a bad effort for a 250mW FM transmission on 145.1MHz at over 630km range. This was the array Alan was using. 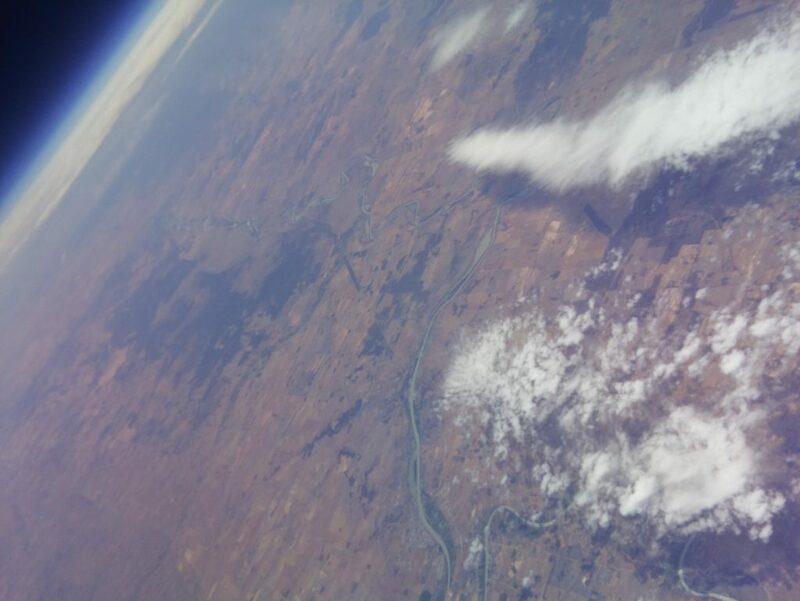 From the balloon’s perspective we also kept a copy of the images on the SD card. This is what they looked like prior to broadcast. 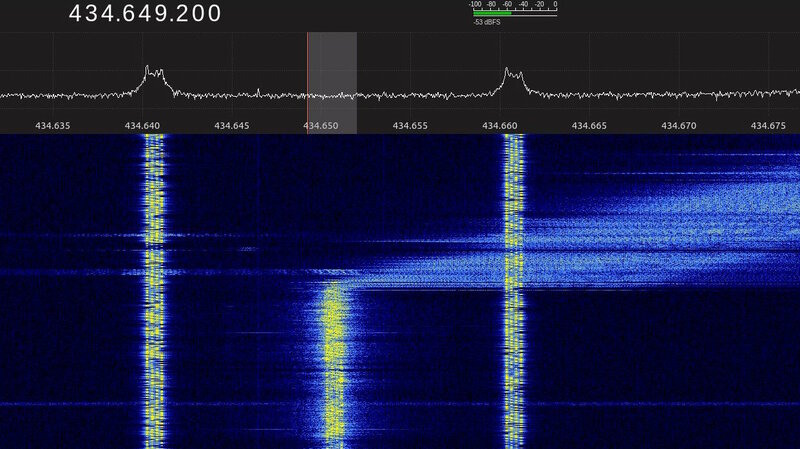 The other amateur radio related payload flown was a cross band voice repeater. This machine had a receiver on 438.900MHz (with a 123Hz CTCSS tone) and a transmitter on 147.500MHz running approximately 1 Watt. This was a return to the original voice repeater flown back on Horus 9 and 23 after the problems with narrow band FM on the more recent repeater flights. During the flight, it became clear that this old machine still had some problems. Unfortunately the faults didn’t reveal themselves until after lift off. 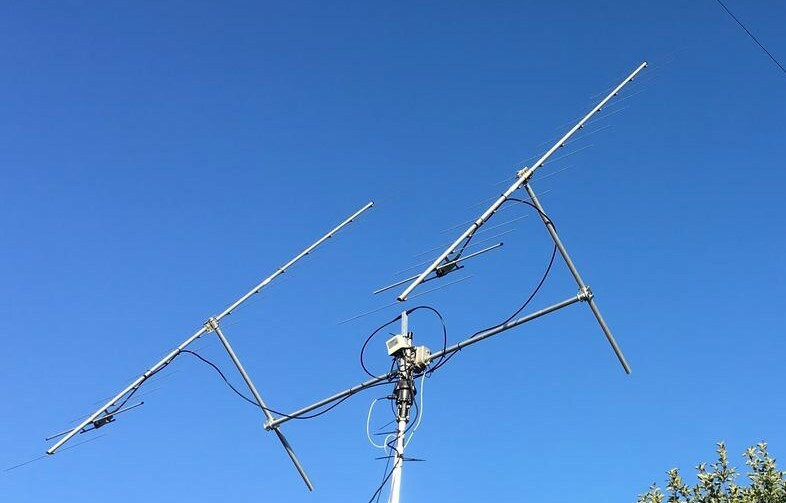 The repeater was de-sensitising its own receiver (a suspected 3rd harmonic problem), and with the rather windy flight aloft, there was also a lot of swinging around of the antennas (TV Ribbon J-Pole antennas) which made contact very difficult to achieve through the balloon. 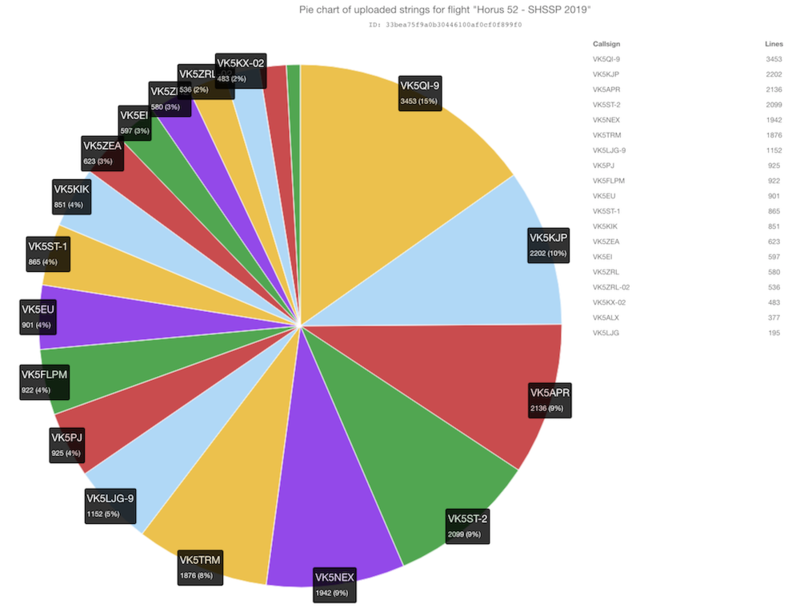 None the less, 32 contacts were logged through the repeater by stations from as far as Millicent in the SE, Renmark in the NE and Whyalla / Port Pirie in the Iron Triangle to the NW. The following is the full log of the contacts made through the balloon with net control. The chase teams themselves were in an excellent position to recover the payloads and indeed watched them land from about 1km away. After contacting the land owner (to seek permission to enter and collect them), all of the payloads were successfully recovered, ready to fly another day. At the end of the day the team was very happy with the results. What was even better were the number of people who participated in the event, either on site or from home with tracking, SSTV, FM voice, or just tuning in on social media and following along via the Internet. It truly represents the aims of AREG in promoting experimentation in Amateur Radio to see all of the people who joined in. To each and everyone of you, thank you for your participating! To the teams that built and flew the balloon, a special thank you to you as well. May there be many more! If you wish to take part in either communicating with / via Horus 50 or are simply curious as to what is going on the following summary should help. Liftoff is planned for 10AM ACDT (2330z) Sunday morning. What Frequencies can I listen on / talk through? 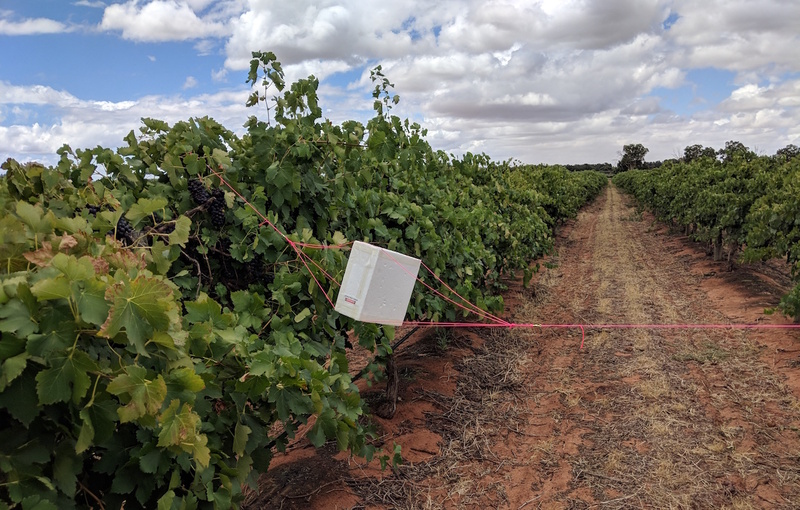 When using the FM voice repeater be aware that it will be under controlled net conditions and that the chase teams have priority at all times to use the repeater to coordinate recovery. Net control will be VK5ARG – call in to VK5ARG and listen to instructions please so that everyone can get a turn. In particular, remember to turn your CTCSS tone on your 70cm transmitter and set it to 123Hz. Forgetting to do so will jam the repeater for every other user. Where can I get up to date information? If you have a twitter account, watch Hashtag #horus50 . Updates will also be posted on the AREG’s Facebook page as events unfold. Further details about the telemetry etc can be found on the main flight information bulletin available from (here). If i want to see the launch where can I go? We are launching from the southern oval at Mt Barker High School. The team should be on site from 9am. Good luck and enjoy this celebration of the 50th flight of Project Horus in the 20th year of the Amateur Radio Experimenter’s Group.